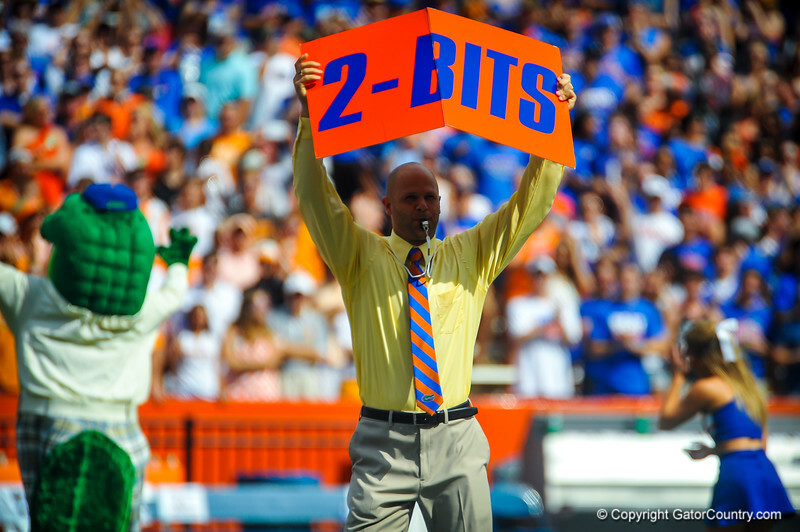 Florida Gator Hall of Fame Inductee and former QB Danny Wuerffel performs Mr. 2-Bits prior to the start of the Florida-Tennessee football game. Gators vs Tennessee Volunteers. September 21, 2013.